Disney|ABC Television Group encourages viewers to "Choose Kindness" through original programming that reinforces the importance of being kind, and customized public service announcement (PSA) campaign that will air on multiple platforms across ABC, ABC-owned television stations, Freeform, Disney Channel, Disney XD and Radio Disney. 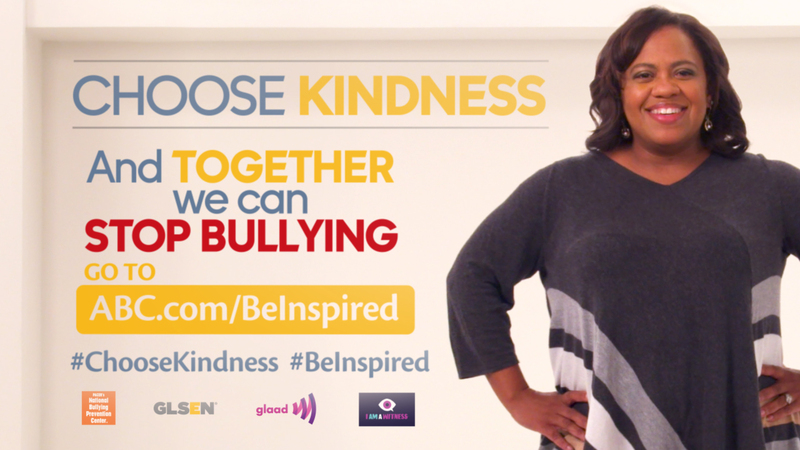 The "Choose Kindness" campaign is designed to inspire kids, families and change-makers around the country to put an end to bullying in collaboration with efforts of nonprofit partners' campaigns including GLSEN's "Ally Week," GLAAD's "Spirit Day," PACER's "Unity Day" and the Ad Council's "I Am A Witness" campaign. Alessia Cara's "Scars to Your Beautiful" song will be featured in the Choose Kindness PSA across Disney|ABC Television Group platforms. Among the stars featured in the PSAs are: Viola Davis ("How to Get Away with Murder"), Kiefer Sutherland ("Designated Survivor"), Minnie Driver ("Speechless"), Anthony Anderson and Tracee Ellis Ross ("black-ish") and more on ABC and ABC-owned television stations; Troian Bellisario ("Pretty Little Liars") and Hayden Byerly ("The Fosters") on Freeform; Rowan Blanchard ("Girl Meets World"), Veronica Dunne ("K.C. Undercover"), Benjamin and Matthew Royer ("Best Friends Whenever") on Disney Channel; Brandon Severs ("Walk the Prank"), Felix Avitia and Sophie Reynolds ("Gamer's Guide to Pretty Much Everything") on Disney XD. - Share how you choose kindness using #ChooseKindness & #BeInspired, and encourage your followers and friends to do the same. 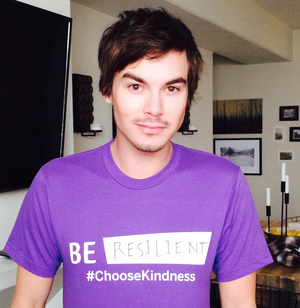 - Post photos, tweets, and messages with #ChooseKindness on Facebook, Twitter, or Instagram. Share photos, tweets, and messages with #ChooseKindness and the below specific hashtags. Fore more information on this campaign and others, visit www.ABC.com/BeInspired.